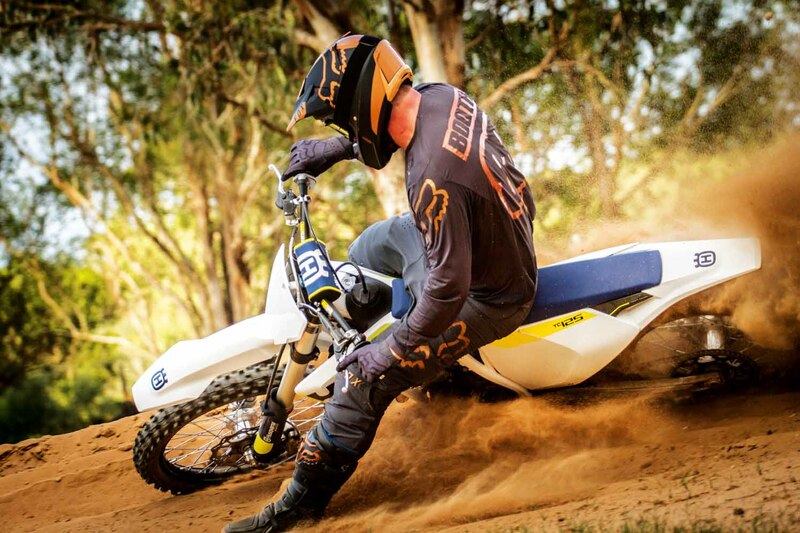 SOME RIDING AND SETUP TIPS AIMED SPECIFICALLY AT TWO-STROKE RACERS. If you get this right it will change your world. There is quite a bit to getting a two-stroke jetted correctly. If you aren’t sure about it, either do plenty of research or, even better, pay for the services of someone who can get it right for you. Don’t be scared to be slightly on the richer side when jetting a two-stroke; it will work as a safety net for engine life and also keeps the power a little more rideable, especially on a 250. Don’t go spending huge amounts on engine mods until you’ve ridden your standard bike with the right jetting, as you will be surprised. If your racing is moving to a higher level and you are looking for a performance increase along with some extra reliability, it may be worth investing in some race fuel like VP Roo100. It’s not cheap but will guarantee fuel quality, which can be more critical in a two-stroke engine. 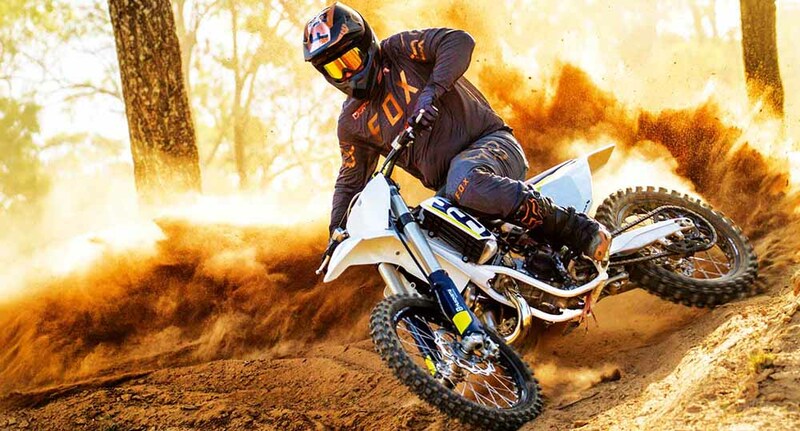 It may allow you to run the bike jetted slightly closer to optimum without getting excessive detonation which will eventually lead to engine failure. This can be critical on a two-stroke because they have such a small window in which they produce their best power. Your goal should be to gear the bike so you can ride it in this window more with fewer gear shifts and without the need to use excessive clutch. Two-stroke 125s can often handle several additional teeth on the rear sprocket so that first gear is no longer needed on the track, and third gear becomes more useable. It’s pretty rare that you will rev out in top gear so use this theory to get your gearing sorted so you can carry third gear more often. 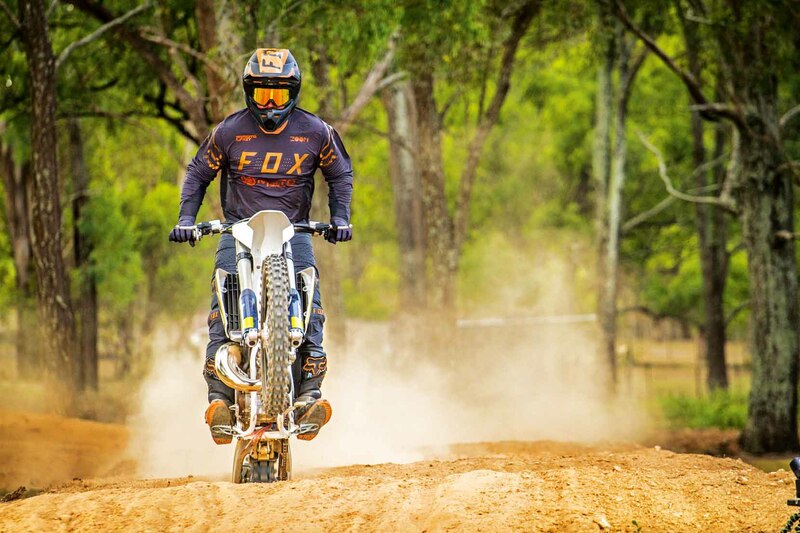 It’s not quite as critical on 250s as the extra torque means you don’t really need to use first anyway, but the correct gear for your riding style will definitely help increase your speed. If your gearing is correct you should be able to use second and third gear for most corners and first shouldn’t be needed. Try to avoid the temptation of over-revving the bike. Though sometimes it feels like a two-stroke needs just that, they don’t produce their best power while absolutely screaming. If you can work on riding in higher gears you may find it forces some extra speed out of you. Correctly timed shifts out of the start will make a big difference too, so it’s worth practising. Don’t get sucked into putting the shortest muffler you can find onto your two-stroke. I’ll admit they can sound pretty cool but they rarely produce the best overall power. The standard length aftermarket mufflers will usually provide the best results. An aftermarket reed block can improve throttle response and also add some over rev to your two-stroke. They are relatively cheap and don’t affect the reliability of the bike. You may need to adjust the jetting when you fit one, so keep that in mind. A quality aftermarket air filter that allows the bike to breathe a little easier will also help improve throttle response and also help the bike to rev quicker. A dirty air filter will affect the performance of a two-stroke quite a bit, especially on a 125, so a fresh one for every race is your best bet. When riding a two-stroke how you combine the clutch and throttle will make a massive difference to how well you can get power to the rear wheel. A great two-stroke rider will be able to keep the engine working in the small window that produces the best power, all the time. This isn’t possible if you don’t use the clutch. The catch here is plenty of riders get carried away with the clutch and use it too much, and the result there is cooked clutches and slow lap times. There is a fine line and it will take some practice to get it right.